James Mulcahy is a mind reader. For reals. New York’s all-around barfly wrote a piece special to Metromix earlier this month about some of the top commuter bars to crawl into while in the vicinity of the city’s many transit hubs: Grand Central Station, Penn Station and, yes, even Port Authority. My locale in CT is just far enough that I still have to plan pretty ‘on-point’ to get into the city by a certain time but close enough that I can be under Manhattan’s big lights on any given day. As a somewhat frequent Metro-North commuter, I’ve come to learn the ins-and-outs of shuffling through Grand Central Station, but a light bulb clicked on when I read James’ story – I really haven’t explored the drinking scene near the stations! This clearly must be changed. I’ll be doing a bunch of traveling in and out of New York over the next several weeks (both for work – more to come there! – and for pleasure) so I’m going to start a running list on this blog entry of the different bars I come across in my adventures. In the interim of not having begun my commuter bar crawl, be sure to give James’ story a read. There are definitely a slew of options on there to lead me in the right direction along my imbibing adventure. My final stop in New York was at a Manhattan landmark—The Carlyle Hotel. My guests and I were greeted at the door by white-gloved men in impeccable uniforms who showed us the way to the bar. Bemelmans Bar is so-named because its walls are decorated with artist Ludwig Bemelmans’ mural “Central Park,” featuring the much-loved Madeline and her classmates. The room centers around a grand piano, which was played by Chris Gillespie on this particular evening, and the staff is attentive and informed. My waiter explained the cocktail menu in great detail before suggesting their famous Carlyle Punch. 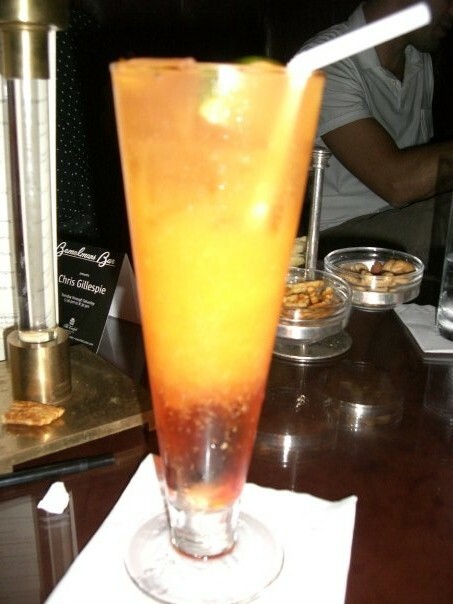 When I inquired as to the drink’s ingredients, he said it is made different nightly and its exact contents could not be shared, though he did point out it featured several fresh-squeezed fruit juices. There is certainly an emphasis on fresh ingredients and craft bartending at Bemelmans. 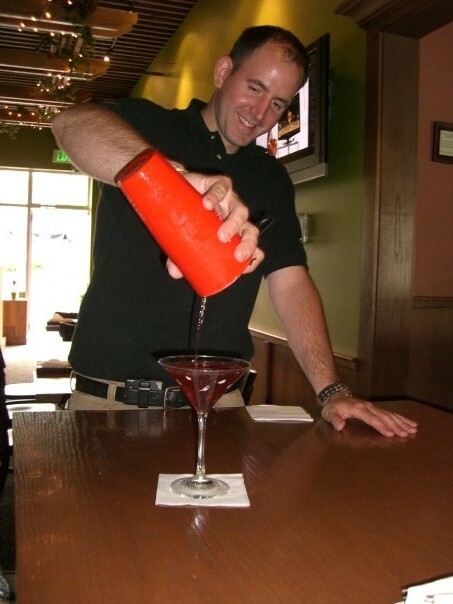 Don’t expect the bartender to fix you a drink in seconds—they will not be rushed. Instead, sit back and enjoy the show, as the skilled craftsmen work their magic. Not surprisingly, the Carlyle Punch was delicious. It was superbly flavorful and tropical with Rum, fresh-squeezed fruit juices, bitters, triple sec (which always pairs well with fresh juice), grenadine and many more ingredients I couldn’t quite determine. Refreshing, crisp, and a little bit sweet, it was the perfect drink to end a wonderful day in New York. Hopefully it will not be long before I visit once again. 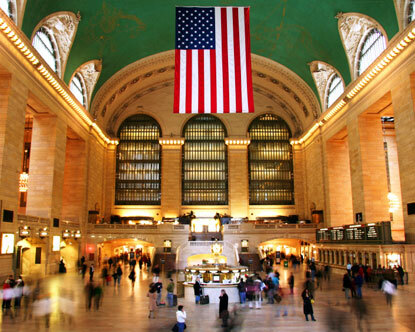 Earlier this week I took the train into Grand Central to get a taste of the Big Apple. Of course, I’ve been there many times before but this trip was all business—and luckily for me, that means trying out cocktails at trendy bars! Located in the lovely Bryant Park, behind the New York Public Library, the Bryant Park Grill was my first stop of the day and featured a great outdoor dining patio and delicious food. Since I was visiting New York on behalf of my client, Hiram Walker, I tried to get a sense of the latest drink trends, to see where the new flavors they introduced this week (Blueberry Passion and White Peach Schnapps) might fit into a cocktail menu. I was keeping my eye out for throw-back cocktails with a new twist, like HW’s reinvention of the “Fuzzy Navel”—the “Naked Navel” and “Pierced Navel” (with 100 proof vodka). I’ve been trying to make it a habit to order whatever my bartender/server suggests to drink, or at the very least, something featured in a drink menu. But at my first destination, there was no cocktail menu, and my server only offered “We can make anything you want.” I froze. No throw-back cocktails with trendy new liqueurs, no cute, cleverly-named tiki drinks, and no intriguing veggie-based cocktails (stay tuned for more about all those). It’s been a long time since I had to think about drinking—the combination can be deadly. My wonderful city-savvy hostess and lunch guest for the afternoon, Anu Rao interjected to suggest I try a dirty vodka martini. Gross! Or so I thought. I’d never tasted one and it had never occurred to me that I might enjoy it. Truth is, I loved it! If you’re in the city (and you like olives) go get one—they’re great. Anu (who seems to be something of a dirty-vodka-martini-aficionado) said it was one of the best she’d had. At the foot of Boston’s charming Beacon Hill neighborhood stands a historical building with a modern twist. This 1851 granite-style structure, the former Charles Street Jail, was renovated last year to become the fabulous Liberty Hotel. It’s a gorgeous luxury hotel, but it’s stayed true to its historical roots. The prison-theme is found throughout, including in the hotel’s own nightlife hotspot Alibi. 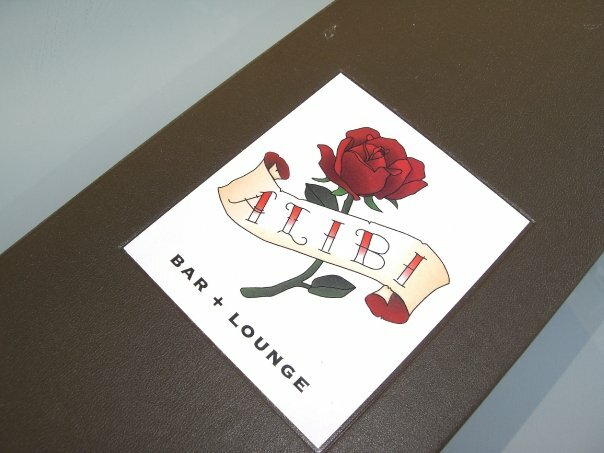 I was told Alibi was the hottest new thing on the Boston nightlife scene, so I made my way over there after finishing up my Freedom Trail Cocktails. Let me tell you, this place makes an impression from the moment you walk in. It’s located in the old “drunk tank” of the jail and features brick cell walls and black iron bars. Inspired, no doubt, by America’s uncanny obsession with celebrity gossip, Alibi’s walls are decked-out with familiar celebrity mugshots. Each one features a cheeky “alibi” (my personal favorite is the his & hers combo of Hugh Grant and Divine Brown—check out their alibis for a good chuckle). Ok, let’s talk drinks. This drink menu has got to be one of the most trendy and cutting-edge in Boston. At a smaller bar I visited earlier in the evening, the bartender had never even heard of Absinthe, St. Germain, or Cachaca, but the Alibi menu featured all. Kudos to them for keeping up with the latest style in cocktails, but I’ve got to say not all the drinks were to my liking. Their “Cash & Prizes” drink featured three ingredients I might have enjoyed separately, (rye, Absinthe, and apricot jam) but I really wasn’t crazy about them combined. I’ve got to be honest…the jam looked like squid-bits in the bottom of my glass. Luckily, I got the opportunity to wash that sip down with a delicious drink they call a “Cell Block Spritzer” (vodka, St. Germain, and lingonberry syrup topped with soda and served on the rocks). They (more-than) redeemed themselves with that one. It’s a new favorite. Give it a try and let me know what you think! As part of my ongoing education in the field of spirits, wine, and beer, I took today’s lunch at the award-winning Olive Bar (http://www.olivebarct.com) in nearby Unionville (You’ve got to love a job that encourages this kind of behavior!). 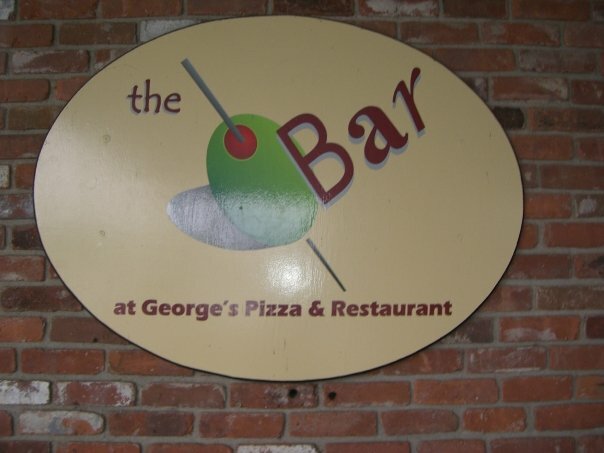 This Mediterranean style bar is an extension of George’s Pizza & Restaurant, which makes a killer eggplant grinder (the left-overs of which I regrettably forgot to take home—I am notorious for that). 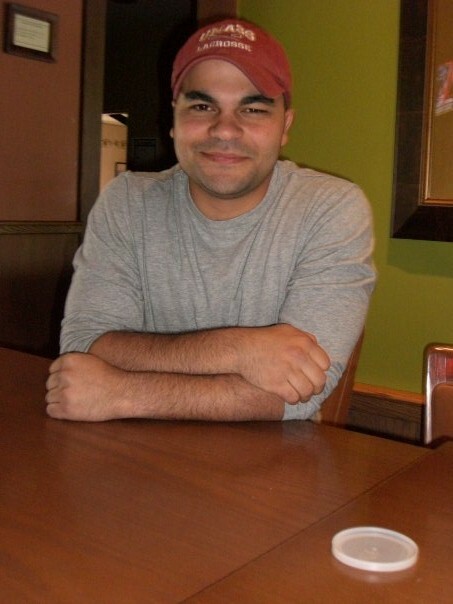 While enjoying said grinder, I had the opportunity to sit down with owner George Psaras to discuss a few new cocktails he’s working on and— aw shucks! I had to play guinea pig. One of the works-in-progress at Olive Bar is the Princely “Purple Rain,” a cocktail that (for now, anyway) consists of grape-flavored vodka, triple sec, and Chambord, garnished with beads of frosting that look like shimmering rain drops in the glass. A tester was whipped-up by our bartender Bryce, who was critical of his own creation. The first sip was good, the second even better, but I’ve got to agree with Bryce—the drink was missing something that would give it a crisper, more refreshing taste. Perhaps a splash of soda water would do the trick, but I think it’s the flavored vodka that threw me off. I would much prefer regular vodka with the flavor coming from additional ingredients. Still, not bad for a trial run. George lamented that he didn’t have a grape liqueur, which might work great in the place of the Chambord, but said they’re not readily available. None of the bars I’ve worked at carry grape liqueur (but to be fair, these were restaurant bars that sold more Miller Lite than martinis) and I’ve never tried it myself, but I’m going to make it my mission to track some down and give it a go. When I got back to the office, I searched other “Purple Rain” recipes online and found they’re all pretty different. Let me know if you’ve tried anything like these. Oh, and if you’re thinking about mixing one of the following up, I suggest Hiram Walker (full disclosure-a wonderful client of mine) for your Blue Curacao.